seasonal, local, and in love. 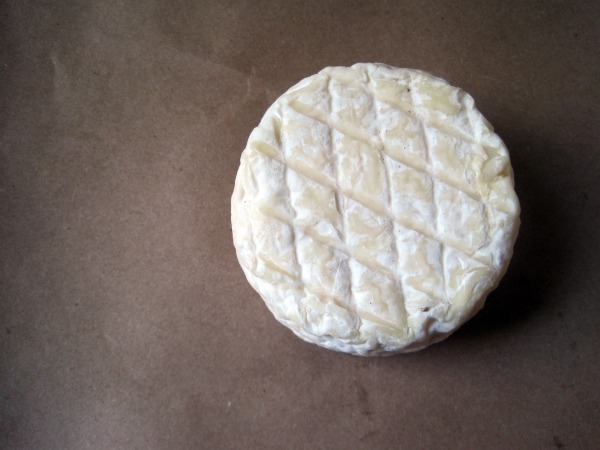 Foodbuzz 24×24: Cheese, Wine and Swine. A few months ago I had one of the best meals of my life. The only problem with the meal was that I happened to eat it all by myself, 1000 miles away from home. I was in Chicago on business. I’d been told by a number of people that I had to eat at The Purple Pig. When I saw that the restaurant’s motto was ‘Cheese, Wine, and Swine, my mind was made up. I had to go. Let me just say that I was not disappointed. I did dine at The Purple Pig and I enjoyed every morsel of my meal. There was cheese! There was swine! And, of course, there was wine. It was glorious. The menu was simple, yet unique. Every single dish was spot on. I loved it. But with every bite came a twinge of sadness: I kept thinking how much my husband would have loved it. Don’t get me wrong – I thoroughly enjoyed the meal – but there is something so special about a great meal that is shared with loved ones. 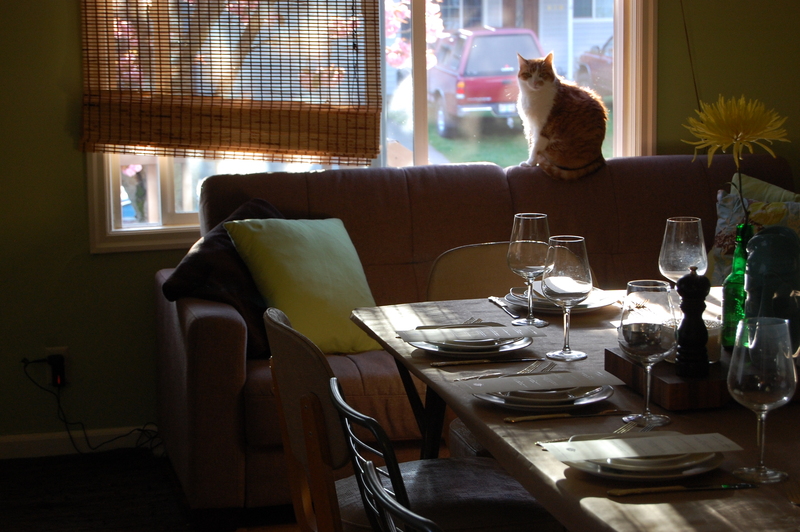 For me, dining is about the shared experience. But when I got home from Chicago, I was struck with a brilliant idea. I knew that I couldn’t whisk all my friends and family away to the windy city, so I decided to make my own Purple Pig inspired meal (with a twist!). 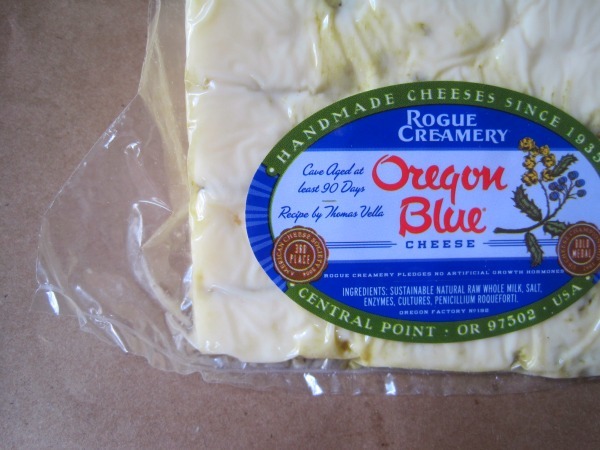 You see, the Northwest happens to have amazing wine, cheese, and pork. And thus, this little dinner party was born. I invited a few friends over and made a meal that paid tribute to The Purple Pig, while showcasing the cheese, wine, and pork (and charcuterie) of the Northwest. I did a lot of my shopping for this meal at the Portland Farmer’s Market. I must say, I owe all the success of my meal to the fantastic offerings that Portland has to offer. If I’m being honest, my meal began as a tribute to the Purple Pig, but really…I think it ended up being more of tribute to the Pacific Northwest. I had absolutely beautiful products to work it, so it wasn’t hard to make them sing. All that to say: I had a lovely time dreaming up, planning, prepping, cooking, and eating this meal. I am so glad I was able to be part of the Foodbuzz 24×24 for April! Please see below for a full description and photos of the cheese, wine and swine dinner party. I will post recipes for these dishes throughout the week! And now, the meal! In five acts. Act 1. 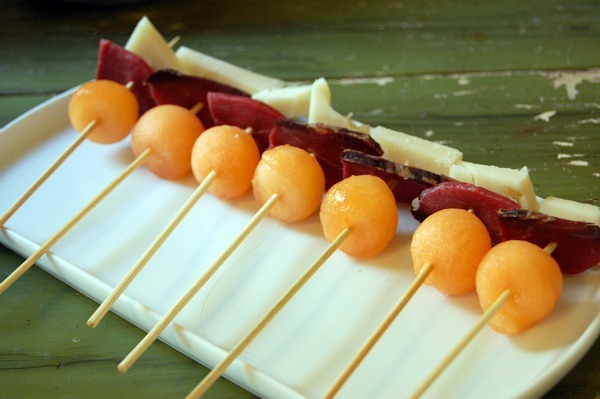 Melon skewers with home-cured duck breast prosciutto, Juniper Grove Redmondo aged goat’s milk cheese. Paired with The Babushka (A beet vodka & Prosecco cocktail). Act 4. Potted Pork Rillettes (Basque Farms & Carlton Farms pork) served on crusty bread with Apricot Mostarda. 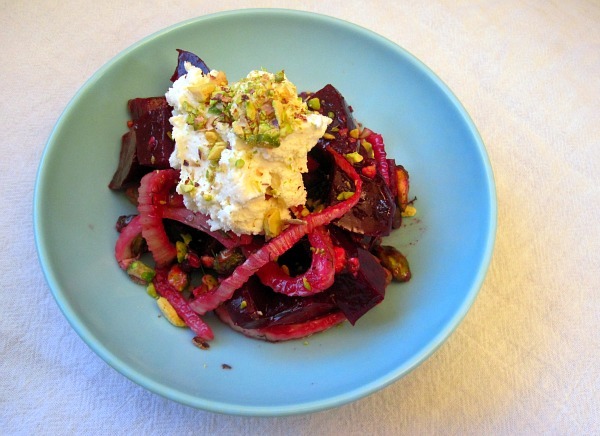 Served with a shaved Brussels Sprout Salad with pine nuts and lemon. Wine pairing(s): Anne Amie (Willamette Valley) Cuvée A Pinot Noir and Laura Volkman Vineyards St. James Estate 2008 Oregon Pinot Noir. As you can see: THIS MEAL WAS AWESOME. Thanks to Mari, Dan, Noelle, Blake and Nicole for being the guests of honor. It was my pleasure to cook for you all. Filed under appetizer, beverage, savory!, sweet! Stunning. Just amazing, Lindsay. 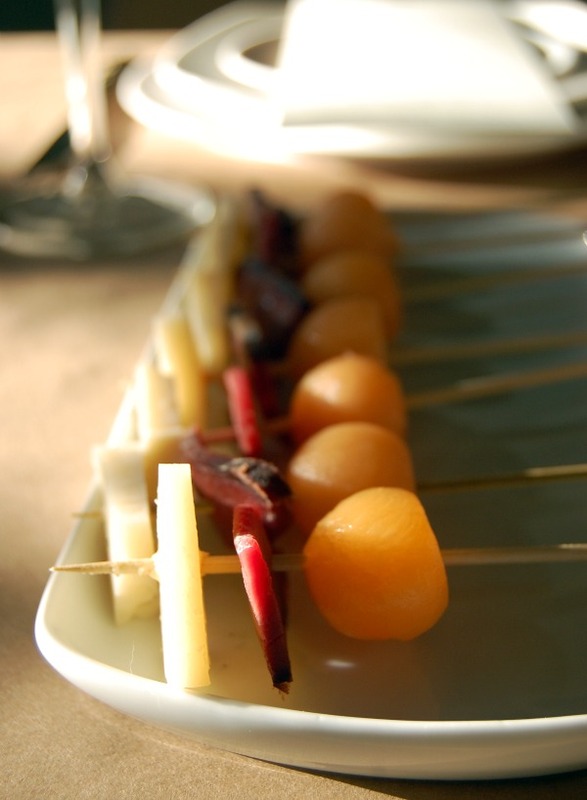 The duck prosciutto looks amazing, and all the cheeses…and wines… What a night, what a post! I can only imagine how rewarding an evening this was. Gorgeous! It’s all of my favorite restaurant foods in one meal! 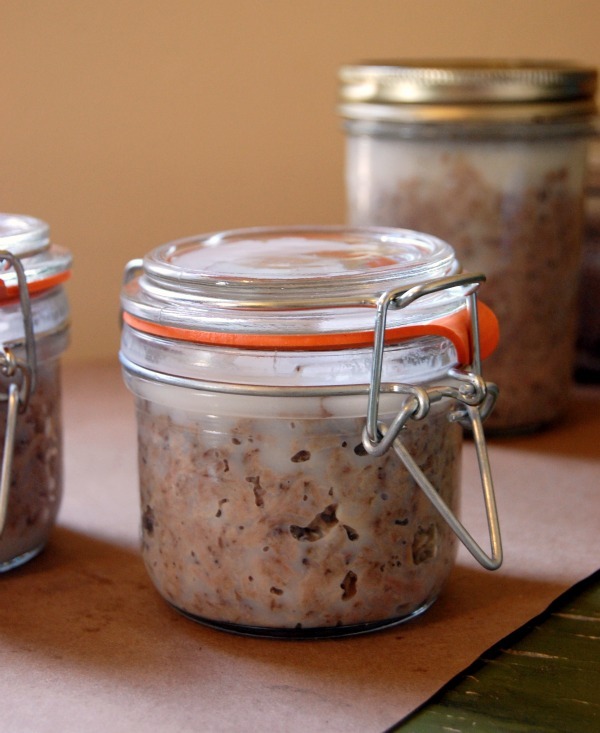 Seriously, great call on adding pate. 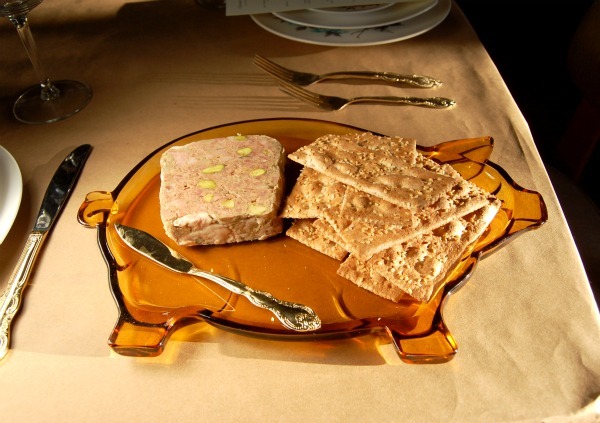 Pate and rillettes are two of my favorite charcuterie products. Great job on your 24×24! Amazing!! This meal looks fantastic- where do I even start? Love the piggy platter, and the duck proscuitto skewers. 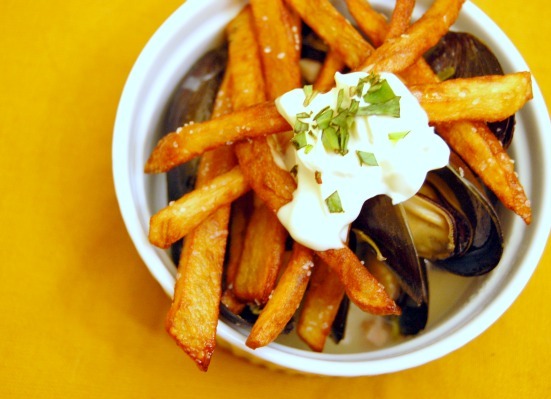 The Moules Frittes also look fantastic, I’m looking forward to the rest of the details throughout the week! Wonderful spread..I love each every dish that you post it!! Amazing!!! stunning dinner! love your idea and inspiration… must have been extra delicious after all that fasting too! i am so curious about that beet vodka – must be the prettiest color. congrats on an amazing 24X24! Absolutely incredible! What lovely food and I’m sure your guests appreciated having such a feast for the eyes as well as the palette. 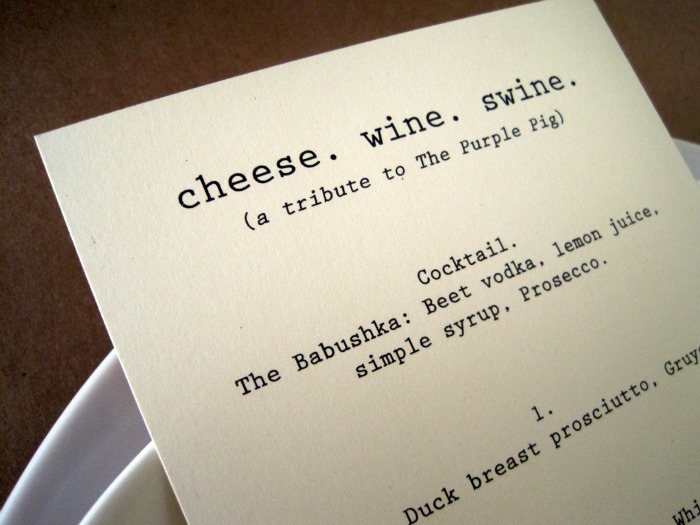 I have to go to Chicago for business soon too and may have to check out the Purple Pig. Fantastic menu! I love that you took what you found at a restaurant a zillion miles away and brought it home to share…with your own twist, of course. Well done! Wow, Lindsay you are so talented! 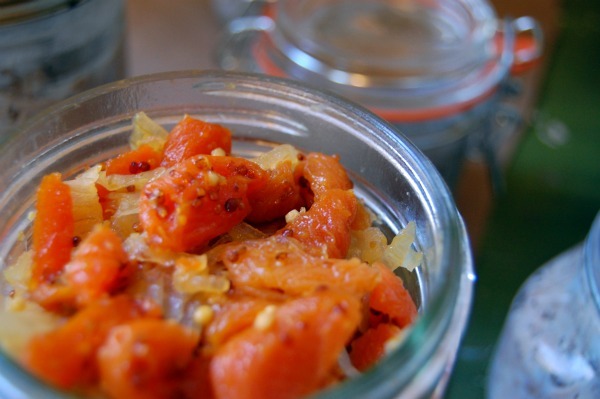 This meal is such a refined nod to our region. As a farmers market junkie, it’s cool to see some of my old favorites transformed into such gorgeous food. Nice job! Fantastic dinner party! Everything looked super delish and there is nothing better than local ingredients. Lucky you that you get to live in Oregon with access to such great product! Linds, that was one of the best nights ever. Thanks for including me! The photos turned out great too. You’re amazing. And props to Nich for doing the dishes! What a champ! I can’t imagine how good the dinner you had at The Purple Pig, but your dinner looks professionally done!! 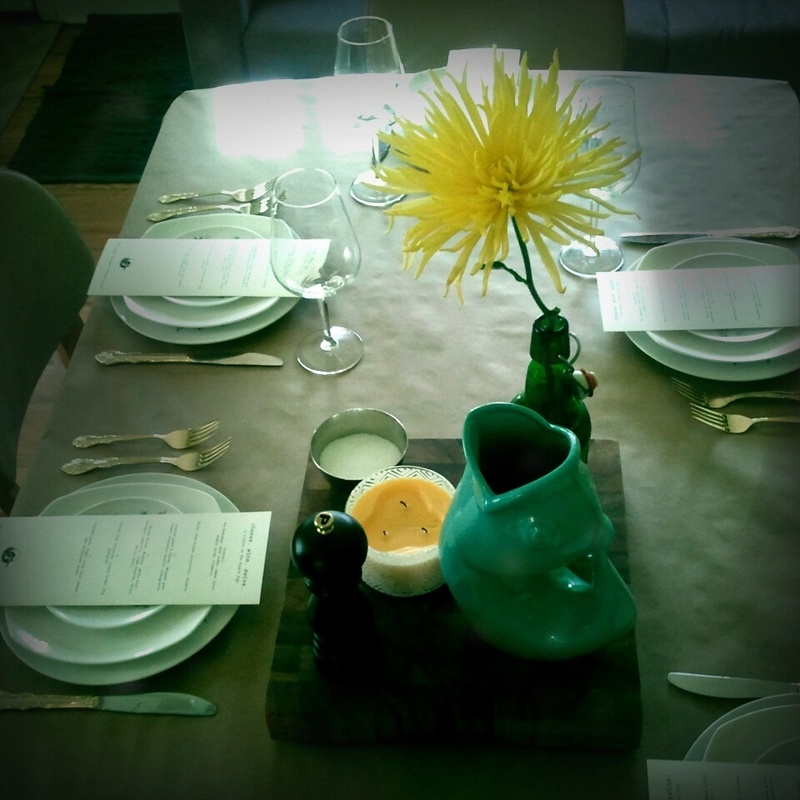 It’s so well thought out from the set-up, printed menu, wine pairing and so on. I’m truly impressed! This looks beautiful! 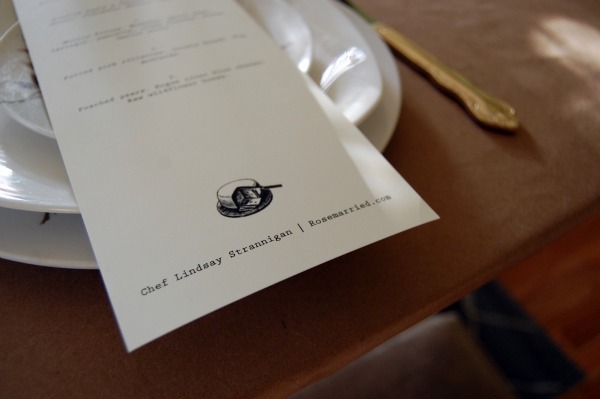 I love that each guest received an individual menu. What a great idea! Lindsay! this is definitely a wow!! Foodbuzz sure picked the right person for this 24×24! You outdid yourself with this meal, each course was so artfully done and selected with such care! Your use of your local products really made this dinner extra special….not enough people think about all the wonderful artisanal foods they have right in there own area. Thank you so much for letting us be a part of this event! Oh, Lindsay. Wow. This is insipred! (Thank goodness for the Purple Pig!) The whole thing looks amazingly delightful, amazingly regional, and amazingly personal. Would have loved to have been one of your lucky guests. Would love to hear the details of the home-cured duck proscuitto and the beet cocktail. Do you/ would you share? Pam, I’m going to post recipes for both the prosciutto and the the cocktail in the coming week! What a fabulous dinner party theme. I think I may just have to host my own one of these days! Can’t wait to see the recipes. 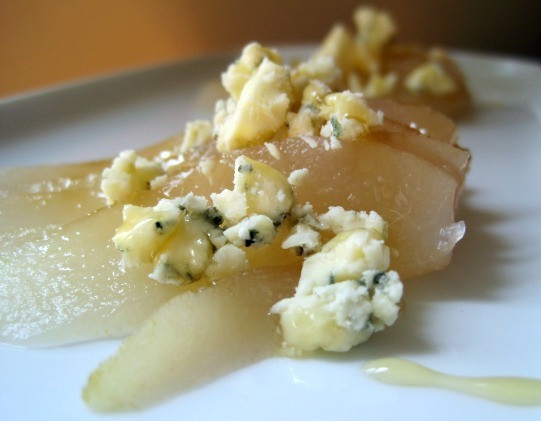 I’m going to make that appetizer for my kids as an after school snack…well a kid friendlier version – we’ll work up to the goat cheese. This looks GORGEOUS! What a beautiful way to connect with a memorable meal on an intimate level. And also to honor an animal that gets a lot of grief. I lived in Cincinnati for a year – “Porkopolis” – and developed a new love for pork because of how incredible local pork products can be. Brava. Pictures are incredible too. Beautiful! The pictures are so wonderful!! Everything you made looks soooooo good. Hope you dont mind me stealing this idea from you, because I totally am thinking about it. What a perfect dinner party! You did an amazing job. Im sure everyone loved it! Amazing tribute to The Purple Pig. Great job Lindsey! Hi! I'm Lindsay. I live in Portland, OR, with my husband, cat, & bunny. I love cooking. I love food. I love wine. And I love writing about such things. In addition, I volunteer with my local farmer's market and I believe in whole and healthy foods. In my spare time, I coordinate weddings and events. Thanks for reading! Wintery Grilled Cheese (with Goat Cheese, Roasted Beets & Wilted Chard). Hello there, 2012: It’s Time to Detox.